Simca Super Deluxe carried a $1,995 price tag. Small cars were the cat’s pyjamas in the 1950s. Windsor was first, importing its little British Ford Model Y into Canada in 1933, though never in large numbers until after the Second World War. General Motors introduced Canadians to its British-built Vauxhall in 1948. They sold in modest numbers at first. 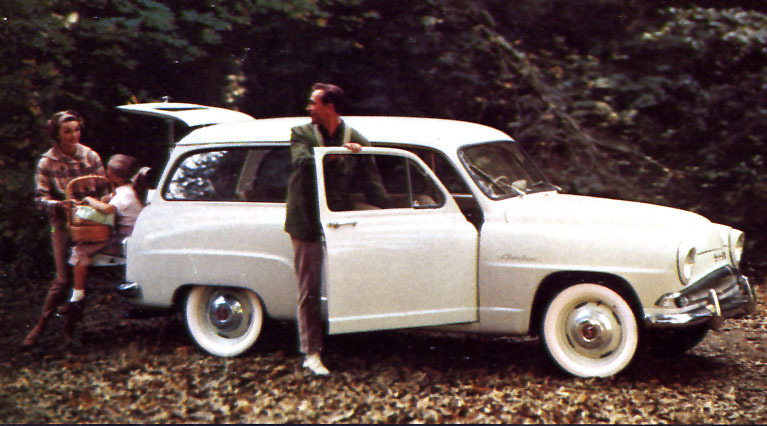 When Nash Motors began to enjoy great success with its small Rambler in the 1950s, the competition was quick to pay attention. Clearly the independent automaker was onto something. 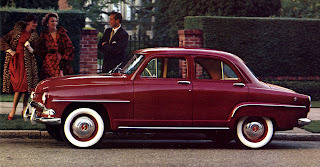 Studebaker quickly cut deals to import the posh Mercedes-Benz and the tiny DKW from West Germany. Chrysler was without a European subsidiary from which to draw small cars for its North American consumers. While beginning to tool up for production of a domestically built compact car, the Valiant wouldn’t be ready until the 1960 selling season. The company needed a quick fix and in 1956, Chrysler executives went shopping in Europe. If they couldn’t immediately build a range of small cars, they would buy a company that fit their needs. “Today’s great Simca is wide, longer, more powerful and luxurious than any other imported high economy car in its price class. Official tests have proved maximum miles per gallon performance with the lowest-price fuel. With the addition of Simca, Chrysler Corporation has the perfect automobile choice for every possible buyer. Now more than ever, there is a car of Chrysler Corporation excellence in every price bracket." Chrysler had purchased a European automaker that began manufacturing in 1935. The early product was closely aligned with Fiat of Italy; it became very popular with the public. SIMCA was an acronym that stood for Societe Industrielle de Mecanique et de Carrosseire Automobile. During the Nazi occupation of France in World War Two, Simca workers continued to build automobiles in small numbers. It introduced the unit-bodied Aronde (French for swallow) in 1951. It was popular. Ford wanted out of France and sold its French subsidiary to Simca in 1954. By the end of the decade Simca was the second-largest automobile company in France. The company held more than a dozen endurance records the world over and enjoyed a sterling reputation. Featuring the characteristics Chrysler executives wanted, they bought 25 percent of the stock in 1958. Billed as the car “imported from Paris,” Simca was chic. The graceful swallow was its trademark and that tied in neatly with the angular dual jet arrows Chrysler was using to promote itself at the time. The sedans and wagons shared a guppy mouth grille with turn signals located at the extreme edges. The chrome “smile” was underscored with a slim bumper punctuated with bumper guards. The sides carried a heavy crease over the wheelwell—one running the length of the front fender--and an arced crease that rose up over the wheelwell to define the rear fender. From the back, Simca carried dual taillights in a chrome housing that capped the fenders and a large emblem kissed the trunk lid. 1959 Simca Chatelaine station wagon. It was the Simca Super Deluxe, a.k.a. 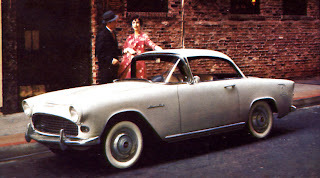 the Aronde, that led the way in Chrysler’s captive import plan. Built in a 2 438-millimetre (96-inch wheelbase) and a pert 4 144 millimetres (162 inches) in overall length, the unit-body car was available as a four-door sedan or a two-door Chatelaine station wagon. 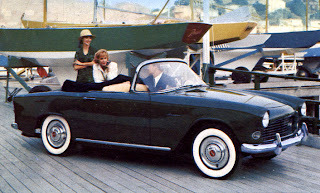 The 1959 Simca Oceane gave Chrysler dealers a model to compete with Ford’s Thunderbird. The most expensive Simca carried a hefty$3,195 price tag. The 1959 Simca Plein Ciel was a welcome addition to Chrysler dealers’ showrooms. The snappy hardtop could be had for $2,975 plus tax. 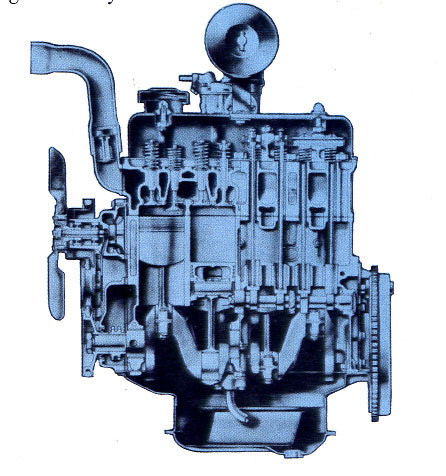 This cutaway drawing shows the 1290-cc Whispering Flash four-cylinder engine used in Simca cars in 1959. All Simcas used the Whispering Flash, four-cylinder, 1290-cubic centimetre mill, though the horsepower generated was rated at 48 while the wagon was given 45 horses. The Oceane and Plein Ciel shared engines with its lesser kin but boasted aluminum heads and 57 horsepower as a result. Engines were mated to Simca’s four-speed transmission—first gear was not synchronized--“for even greater operating efficiency.” A unique feature was the permanent oil filter, designed so that the cartridge never needed to be replaced. Interiors were styled by Parisian designers and cradled in Quiet-Tone Soundproofing material. Instrumentation was housed in a large round cluster in front of the driver. The speedometer promised acceleration to 80 miles per hour. The Ignition key was dashboard mounted and like Ford and Studebaker, located to the extreme left of the driver. The rest of the instrument panel was taken up with a dual glove compartment, one perfect for holding a radio. 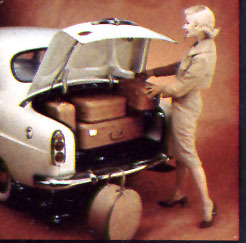 One could load a lot of luggage into a 1959 Simca. The spare tire was concealed to allow for more useable space. A single switch controlled a heater and defroster. Posh touches included dual horns, safety glass, electric windshield wipers and a trip mileage indicator. Simca made use of Unigard construction, like Rambler. Chrysler Canada showed off its entire corporate line of new cars to dealers, employees, the press and civic leaders in a nation-wide gala that ran from October 2 to 5, 1958. It was the largest presentation in corporate history. The biggest buzz was the introduction of the Simca family. Chrysler's new French cousins did very well as a member of the Chrysler Canada family; the little car from Paris sold 4,051 units throughout the Dominion of Canada in 1959. What unique cars they are! Although it is old, I think it is interesting to have. The 1959 Simca Oceane looks more modern than other options above.